Alli’s upcoming summer will have her working at her parents’ store before heading to Washington as a student at Gonzaga University. She will be pursuing a Biology degree as she starts her path towards a Doctorate in Dentistry. 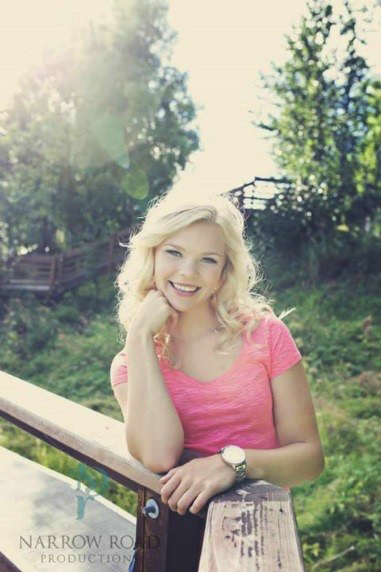 Due to her personal experience with a sports accident that had her frequenting the dentist office throughout her junior and senior year of high school, Alli hopes to, “help others and give people confidence” while pursuing her goal of owning her own practice as a dentist. She plans on doing this while settling down in a small community where she can continue to be a positive influence of hard work and dedication. Her words of encouragement to up and coming high school students is to “Be as involved and committed to your academics and extra-curricular activities as possible.” KCHS is thankful for the positive impact Allison Steinbeck has had on our students and staff alike and are excited for the positive future ahead of her. This entry was posted on June 21, 2016 at 11:49 am. You can follow any responses to this entry through the RSS 2.0 feed. You can skip to the end and leave a response. Pinging is currently not allowed.